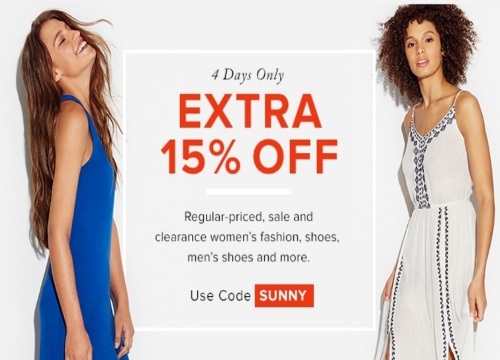 Hudson's Bay is offering an extra 15% off regular-priced, sale and clearance women's fashion, handbags, lingerie, sleepwear, hosiery, accessories, fashion jewellery, watches, shoes men's and more with the promo code below. Enter the promo code SUNNY at checkout. Offer valid until Monday, July 25, 2016.